I love outdoor wedding ceremonies! 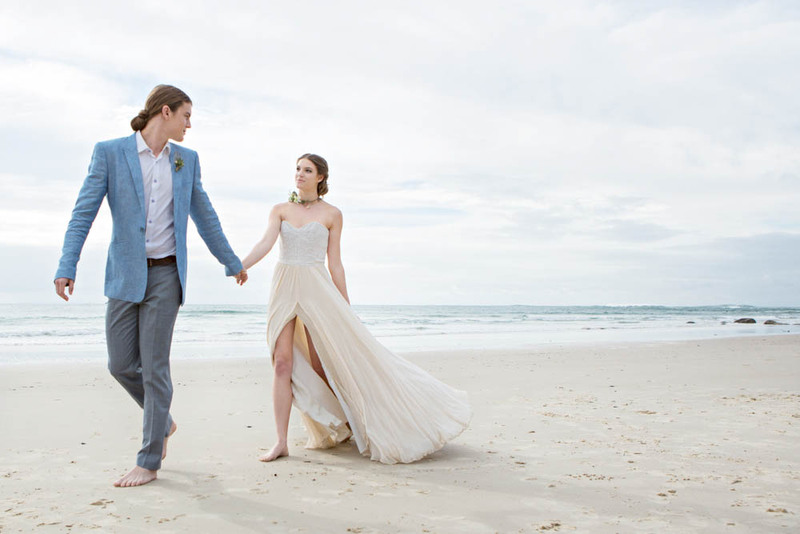 While church weddings are great, there is nothing better than being outdoors in the fabulous Byron Bay region with all your friends and family. But because it is outdoors there are definitely more challenges to be faced and photographically it can be challenging as well. 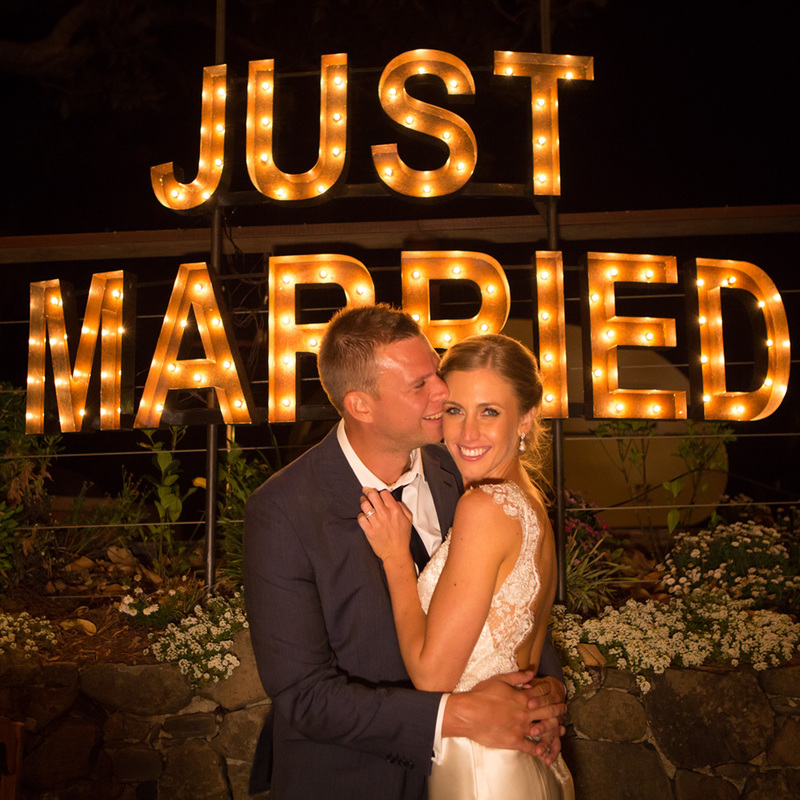 But using these tips you will give yourself the best opportunity to get amazing wedding ceremony photos and have a great experience as well. Light is such an important factor to consider if you are planning an outdoor wedding ceremony. There is harsh unflattering light and there is soft beautiful light. Soft beautiful light happens late in the afternoon… harsh unflattering light happens during the middle of the day. So please, please don’t get married at midday if you’re planning an outdoor ceremony!! When the sun is directly overhead, it may look like a beautiful day, which it is, but it creates harsh and unflattering light photographically, as the light is coming from directly overhead which will create unflattering shadows on your face and body. The other factor of course is the heat. If you are having an outdoor ceremony in the middle of summer, then aim for the cooler part of the day. In winter you can definitely have your ceremony earlier because the sun is much lower in the sky. Click here for Byron Bay sunrise and sunset times. 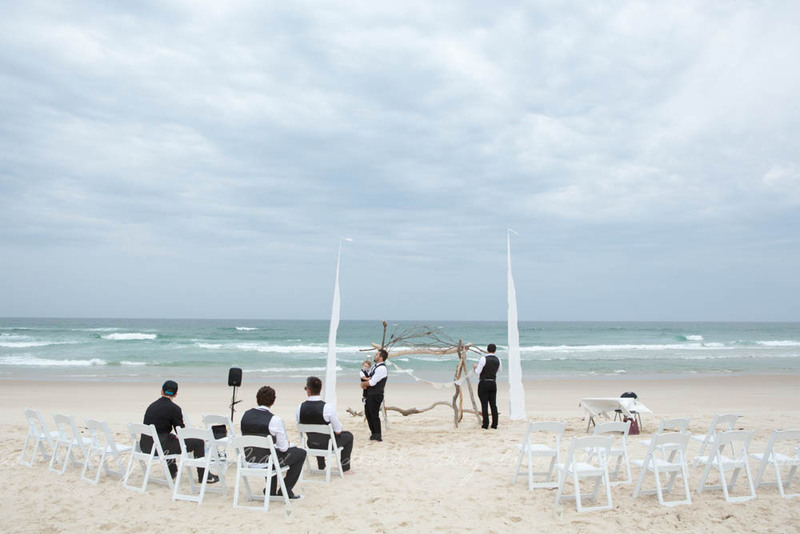 Most people would tell you to set up the ceremony to face a beautiful backdrop… and sure that is important. But if you have a choice, then try to get the direction of the sun right as well. If your planning your ceremony a year out, try to see where is sun is at the same time of year. So which direction is best? For me it’s all about even light and there are pros and cons to all directions. – If the sun is coming from the left or right hand side, then one of you will be looking into the sun and one will have their face in shadow. – If the sun is coming directly at you, (on the back of the guests), then you will be in full light and maybe squinting a little. But the light will be even. – If the sun is coming behind you (on the face of the guests), then the sun will be in the eyes of your guests but the light will be even on you. From a photographic point of view, the ideal situation for me would be the sun behind you but low enough in the sky that it’s rays are being filtered through the trees. If you are getting married under a tree the biggest thing I can say is to try to ensure even light. What I mean by that is, you don’t want half of you in sun and half of you in shade. Or one of you in the sun and the other in the shade. So a day or two before the wedding go to the ceremony site the same time your ceremony is scheduled and just double check to see if you are in even light. You want the Bride & Groom and preferably the Bridal Party to be in the same light. Either in full sun or full shade. 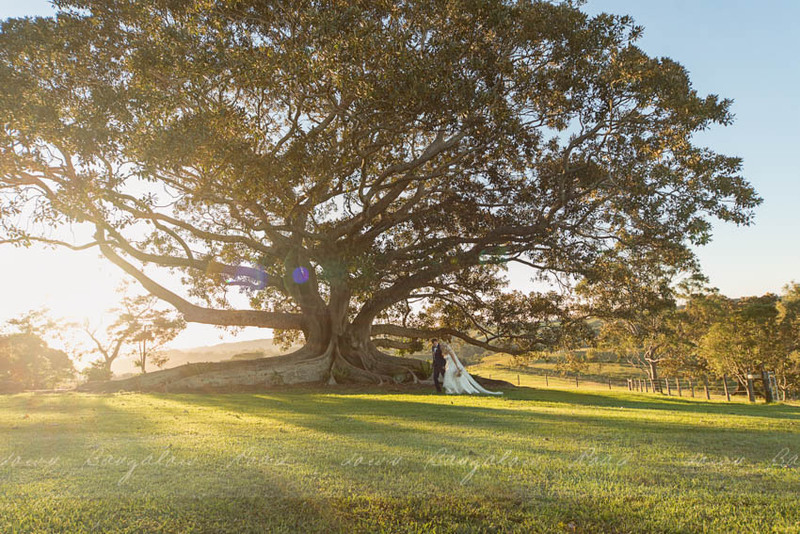 The other thing you have to be careful of when having your ceremony under a tree is the dappled or patchy light as the sun peeks through the leaves onto you. This creates light and dark spots all over you. Best way to combat this is to either move yourself out of the shadow of the leaves or have your ceremony later in the day and position the sun behind you. Having said all this, if you have a cloudy day then you probably won’t need to worry about anything at all. Don’t forget to check the tide times for the Byron bay beaches! Some beaches have more sand than others and are effected more by the tides- check them out! Click here for info on Byron Bay tides. Please, please, please think about a beautiful wet weather back up ceremony location. Moving your ceremony indoors to a small function room or to a veranda of some sort may be fine… but will you be really happy with your photos if this happens. Why not hire out a beautiful indoor location as back up? Somewhere that would look beautiful. Some ideas… a country hall, a barn, historic house, a cute function room in a boutique hotel, a library, the foyer of a commercial building, your favourite restaurant or a cute wedding chapel… if it doesn’t rain the bonus is that maybe we could head to your back up ceremony for some location photos. The one thing I think you should definitely have at an outdoor wedding ceremony, is to have enough chairs for each guest. Some have just a few chairs and let everyone else stand up. But remember that your guests (particularly the women) will be walking on uneven ground, with heels possibly sinking into the grass or sand and standing up the entire time. So be nice to your guests and give them a chair. And from a photographic point of view it is so much easier to photograph a wedding if the guests are seated and out of the way. It’s important to look after your guests. 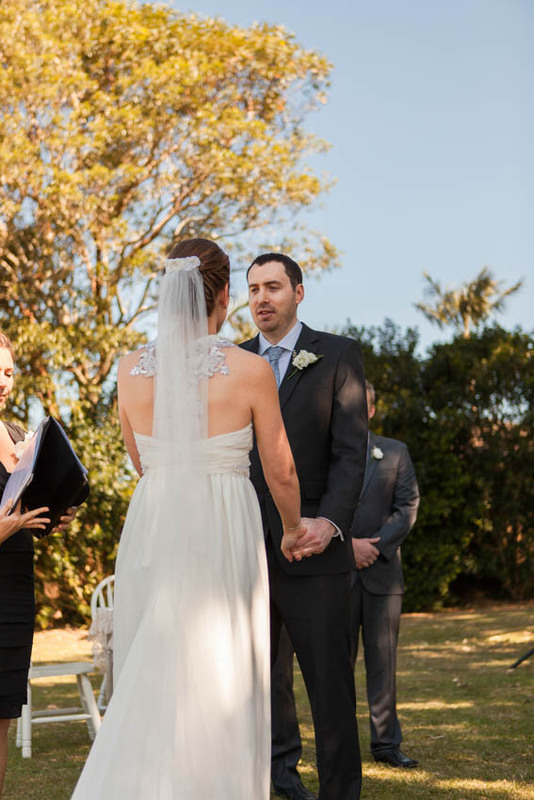 If you are having an outdoor wedding ceremony in Australia in summer, you should have some shade available. Weddings in summer in Australia are hot! Sun umbrellas are a great option to help shade your guests and they also can double as a rain umbrella if needed. Otherwise look for natural shade like trees etc. Also think of shade for yourselves- a lovely canopy of soft fabric always looks great in photos and shade you- limits the squinting as well! Unless you’re having a really small wedding of less than ten people, you really need a microphone and speakers when having an outdoor wedding ceremony. Your guests need to hear you and even a gentle breeze can take that sound away from them. 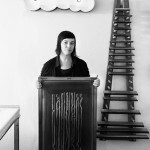 Most professional wedding celebrants will bring their own sound, so just ask them about it. But I have been to some ceremonies where they haven’t used one, and what happens is that the Celebrant will project their voice very well and then the couple who are nervous and emotional will speak softly and you just can’t hear them at all. Discreet microphones are the best!! 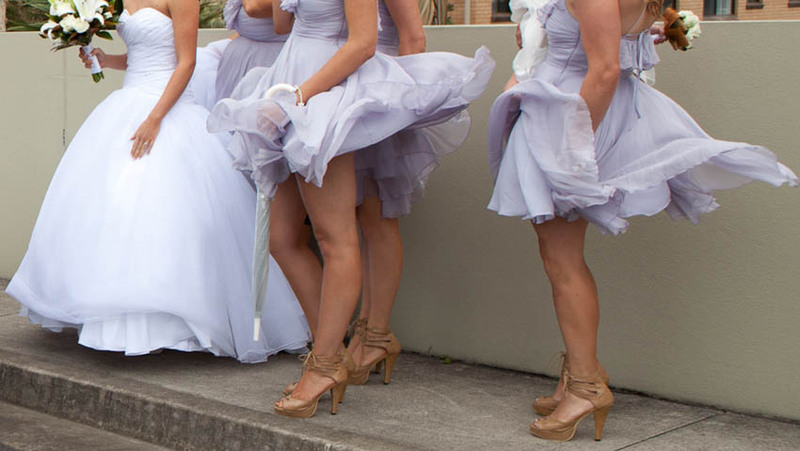 The wind is a factor most people don’t think about when organising an outdoor wedding ceremony. It can get very windy on the beaches around Byron Bay. What you will do if the location is just too windy for you on the day. Maybe it could be move a few hundred metres into a more sheltered spot? If you are using tables with table clothes, then use table clips to hold the cloths down. Also consider very carefully if you are wearing your hair down and you are in a potentially windy ceremony location. 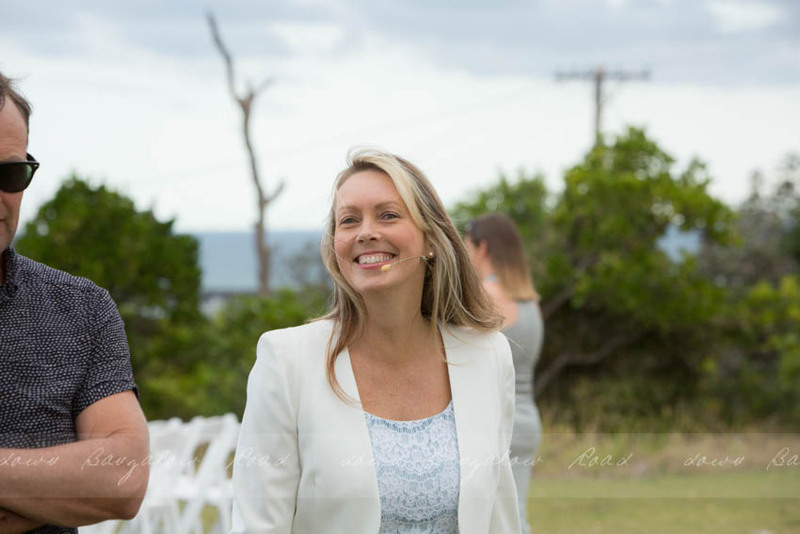 If you really want to wear your hair down speak to your celebrant, as they may be able to switch the side you are standing on so that you face into the wind. And be aware that veils have a tendency to fly out of your hair in strong wind. I’m going to sound like a mum here but think about appropriate footwear for the beach or grass. 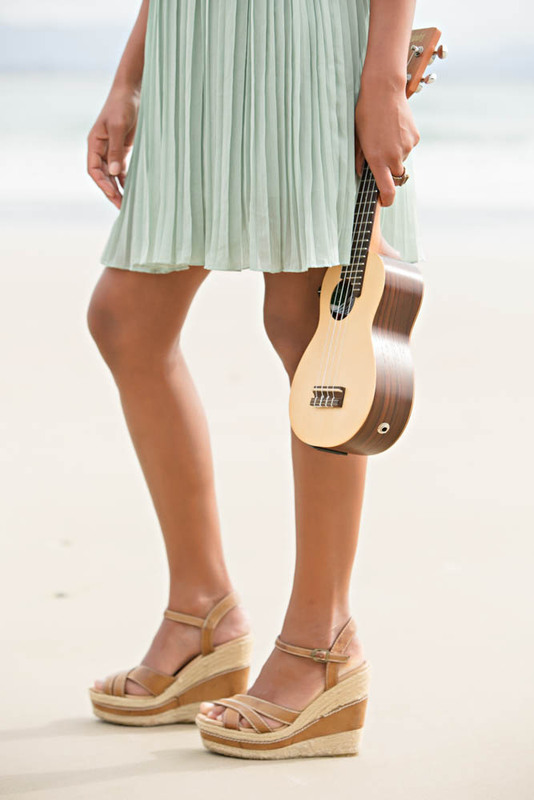 Heels in sand and grass are hard work! Some options are to wear flats; have your heels, but wear flats for the ceremony, (check the length of your dress works for both! ); wear wedges for the ceremony then change to other heels for the party! Consider access to the wedding ceremony site for your elderly & disabled family friends. If your ceremony is in a tricky location, talk to your event organiser as they may be able to arrange a golf buggy or some sort of transport to help them out. There is no better way to celebrate your marriage than having a celebratory drink with your family & friends. I also think that if you are inviting people to an outdoor wedding ceremony in Summer, you should have some drinks available after the ceremony. It doesn’t even have to be alcohol, just some nice cool drinks. 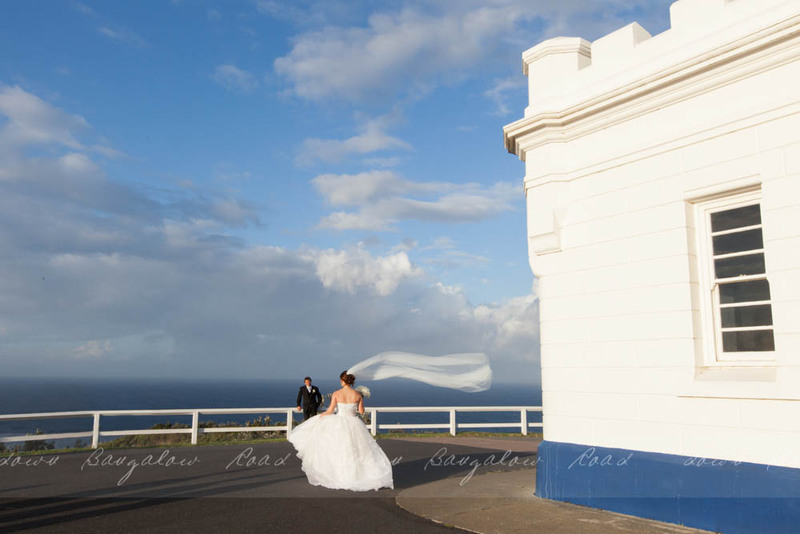 If you are wanting your wedding on one of the many stunning Byron Bay beaches, the Lighthouse or in a National Park you wil need a permit. Remember why you are getting married and remember who you are marrying. Live in the moment and don’t sweat the small stuff. It’s not about the weather, the location, the decorations; it’s about the two of you. So don’t forget to have fun and celebrate with your family & friends. And it may seem easier to just have an indoor ceremony so you don’t have to worry about light & weather etc. But outdoor ceremonies are my absolute favourite wedding ceremony. The light (no matter the quality) will be much better than artificial fluorescent or tungsten indoor lights. So if you are thinking of having an outdoor ceremony, then go for it! Need to chat further about ideas?